Be it that you are looking for a greener alternative to your household’s electricity, solar power is now a viable option for the grid electrical power. However, sometimes, one needs a more portable option for other purposes. 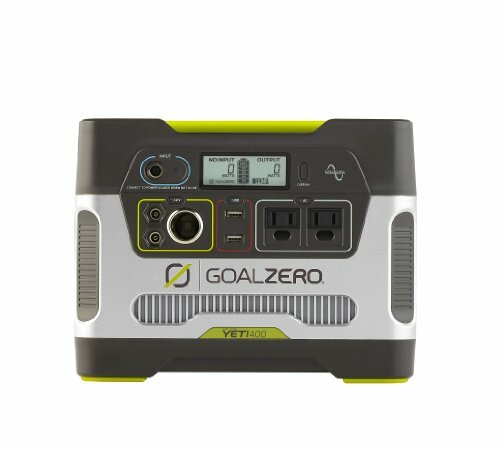 Be it research in remote areas or just a source of power for your get togethers when you go hiking, portable generators qualify as important options in terms of energy sources for those on the go. Portable solar generators are machines that convert solar energy to electrical energy, with the added benefit of being portable. When looking for an appropriate solar powered generator, a lot of factors need to be considered. These include the size of the generator, the amount of time it takes to charge up the battery, the battery’s electrical capacity, the weight of the generator and the expected use that one might have for the generator. Other factors that should also be considered but are dependent on the brand of the machine are things such as longevity, pricing, presence of warranty and the collected client feel about the product based on reviews. 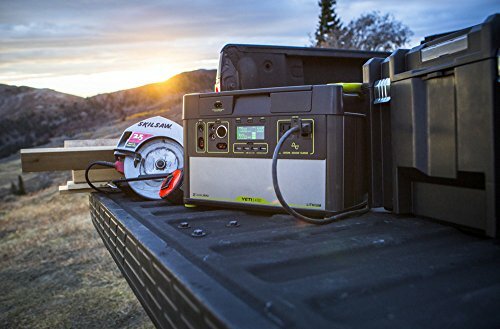 Based on all these factors, here is a list of 11 best portable solar generators of 2019. This generator is ultimately the best machine in the market. It is a high capacity machine tailored specifically towards compressing power into a package that is extremely portable and of the absolute highest quality. While it does not serve the purpose of the larger capacity models that are in the market which can power bigger electrical appliances, it is extremely well suited to providing solutions for smaller personal devices such as laptops and phones. It has 4 ultra-fast charging ports that allow for fast charging of all appliances. The best part is that this machine carries the solar charger within, simplifying the charging process. This compatibility and brilliant yet easy to use design, is what makes it the best option in the market. This solar powered generator is among the best in the market. For one, it charges from either DC or AC current, has solar panels, and has the most versatile outputs on the list ranging from 4 12 V USB charging ports, 300 and 600 W outlets for home appliances, and 2 DC ports. It is also the most user friendly among the generators, having LCD readouts and very few buttons making it easy to use. It comes in a compact design that has systems to ensure it doesn’t overheat or surge appliances with excess electricity. 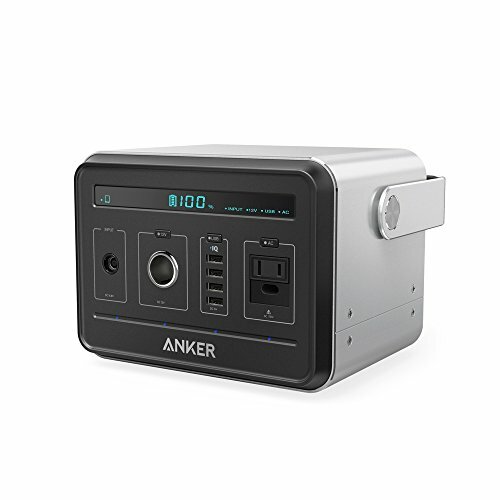 A big contender for the best generator on the list, the Anker Powerhouse is a big capacity generator that comes with an inverter and multiple charging ports that different appliances can use ranging from 12 volt USB outputs for phones to larger 120 volt outlets for larger appliances such as a mini fridge. 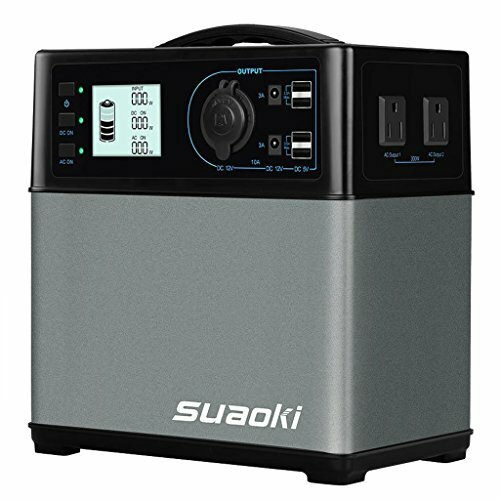 The generator is also compact due to a high density lithium-ion battery that allows for more power to be packed in a smaller package. The result is one of the best power to weight ratios of any generators in the market. Besides, it has a mid-price range for anyone without high demands in energy cost but just enough to serve as a back-up or to meet energy saving goals. This generator might be tiny but it is one of the best alternatives available in the market. 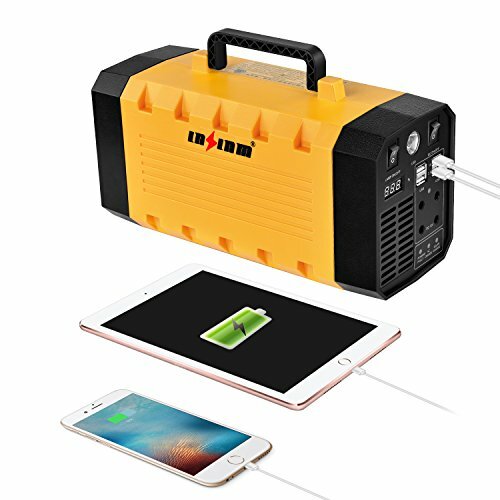 The LB PB160 has a tiny capacity compared to the rest of the powerfully-engineered portable solar generators in this list, with a power capacity of 15600 mAh. Little more than a glorified power bank, this means that it can only service small appliances such as the laptops and phones. Regardless, it is built to be extremely portable, with easy to use component that require very little in terms of assembly other than connecting the solar panels to the generator. It also comes with alternative charging options such as using an electrical outlet when the opportunity arises. 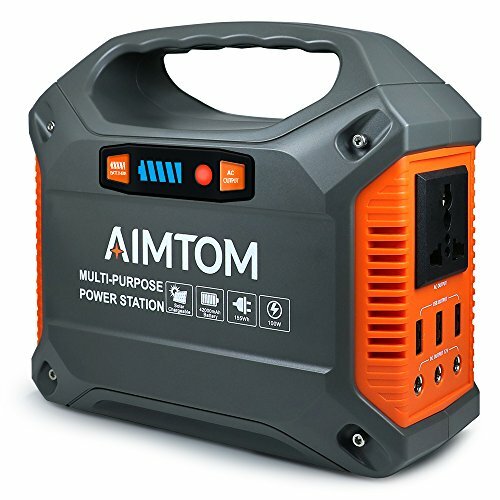 The AIMTOM SPS-155 Portable Generator is a perfect portable power solution, with 42000mAh larger power capacity, whether you are looking for an emergency power supply for your home or you need to power a campsite, tailgate party, or your latest home improvement project. 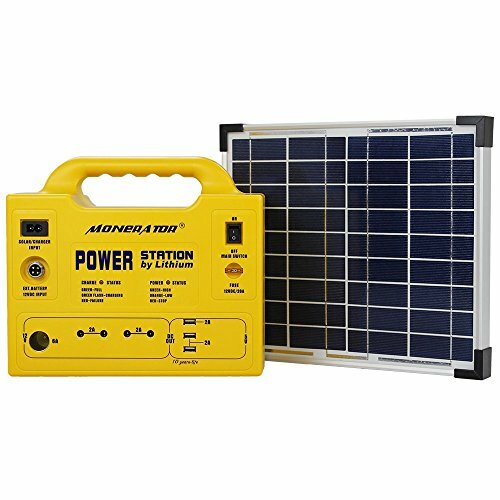 The solar power station comes with 42000mAh 155WH large capacity and is only 3.48LB with an easy-carry handle. 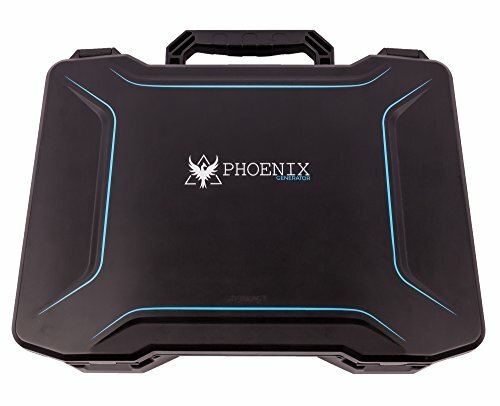 It has been designed in such a way to be a travel-friendly power station for powering up most devices less than 180 watts, very lightweight and compact, easy to take around when you go around to put into your bag. Take and use it pretty much anywhere. This power source was build-in power inverter, it runs super quiet, silent when you use in the night. The Monerator Gusto 10 is a powerful generator pack with a battery able to power big electrical appliances with a 140 watt capacity. It is one of the safest and cheap bet options among the generators on this list as it comes with a guaranteed 10 year life time. It also has proprietary battery technology known as the LifePo4, noted to be one of the safest battery compositions compared to industry standards such as Lithium-ion. The Monerator does not come with pre-installed solar panels, but does have a wide range of options that are compatible to it. If it was possible, this little machine would be at the top of the list. 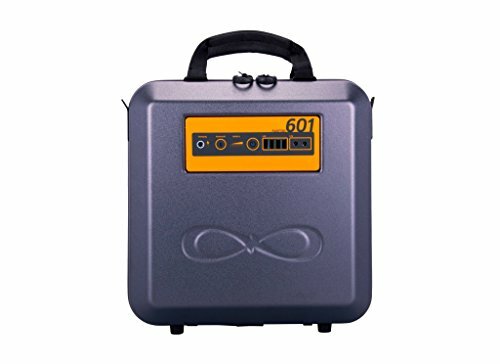 The Renogy Firefly is a compact, all in one generator within a beautiful, water-proof, briefcase like casing. This particular model is amazingly light and will serve brilliantly with only one pitfall. The Renogy Firefly is small as it is because of its limited capacity. Because of the generator’s tiny capacity, it can only store approximately 20 watts of power for charging electrical devices. Aside from its tininess, it has one of the best designs as it carries with it all components, enabling effective and convenient charging. This is the Yeti 400’s more powerful alternative with more energy production. It is built to have more energy at its disposal as opposed to the Yeti 400. The generator also has an inverter just like the previous model, which makes it a strong contender for one of the best available solar generators. Nonetheless, just like the Yet 400 model, it does not come with solar panels attached to it meaning one has to purchase a separate system to charge the generator outdoors. Its bigger capacity and ability to charge many appliances give it an edge in the industry. The LNSLNM offers similar solar powered solutions except that is does this in a compact design that in this case has the best power to weight ratio compared to all the other products on this list. 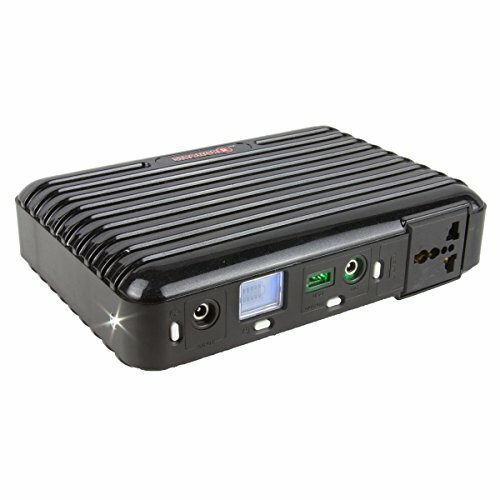 The generator meets all the other user requirements by providing 4 USB ports and 4 DC outlets at 12 V for other appliances. It has an AC/DC inverter as well, able to supply smaller to larger appliances. It can also be used as a surge protector and as a camping source of light due to its size and bright LED light. The only shortfall lies in its lack of an inbuilt solar panels. This battery contains up to seven ports to charge small devices with up to 12W power usage. It is ideal for providing alternative charging for machines as it also holds an alternator that converts energy from AC to DC. It however lacks solar panels as they have to be bought separately, but it has the added advantage of multiple charging options that also include charging from the house or car. It can charge most appliances for 8 hours, as long as they are small in size. 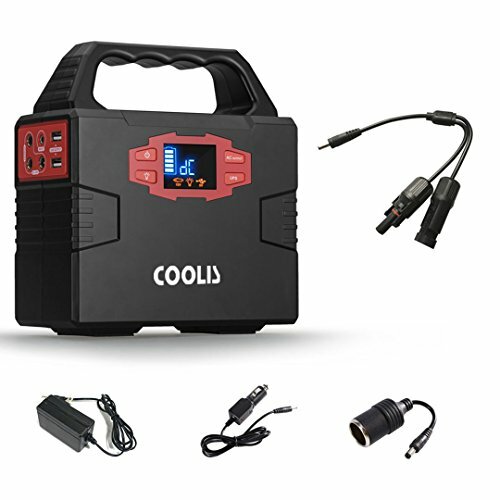 This solar generator from Coolis has powerful AC 12V DC,5V USB output: 110V AC output limited to 100W, 12V DC ouput limited to 180W, 5V USB output, capable of powering lamps, phones, laptops, TVs, printers, fans, car pumps, toast maker, coffee machine and much more. It has improved Battery Management System (BMS) to improve battery utilization, prevent over current, over voltage and over temperature, prolong battery life. also, it offers 12 month warranty. It is easy rechargeable by Sun, Wall socket and car. Previous articleWhat are the Sources of Microplastics and its Effect on Humans and the Environment?